Concept cars always rope you in with their beauty, but often lack integrity. Can they be nice to look at and serve an actual purpose? Honda answers this question with a bold answer. 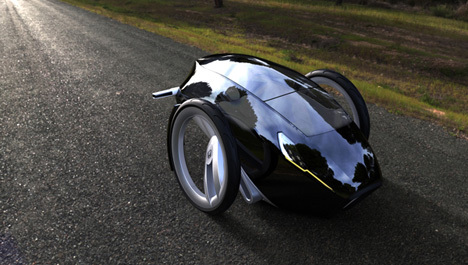 And although pretty, this concept car’s focus is functionality. The Honda Type E pretty much cuts your standard car in half. Its single-axle design means two instead of four wheels. Right away it cuts back on space; designs estimate two Type E’s fitting in one regular car spot. 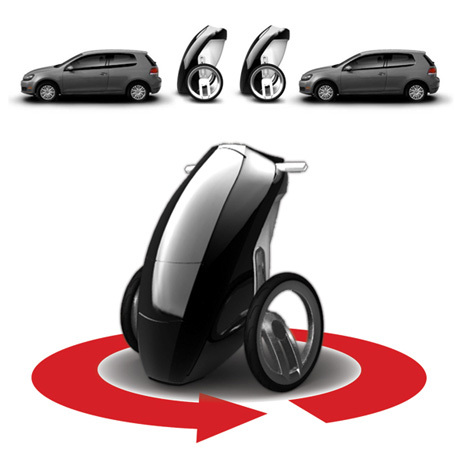 When driven, it goes from vertical to horizontal by moving the wheels on an electromechanical movable axis, becoming an ultra-maneuverable little pod. 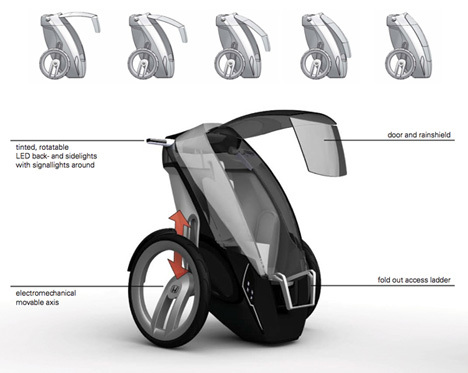 It would be able to turn on a 360-degree axis, making it perfect for the tight squeezes of urban transport. And as if it wasn’t efficient enough, the Type E would be battery powered, which means zero emissions. A beautiful design with a wonderful idea.